We are proud to present our extensive EASYHEAT and EKOHEAT families of induction heating systems. 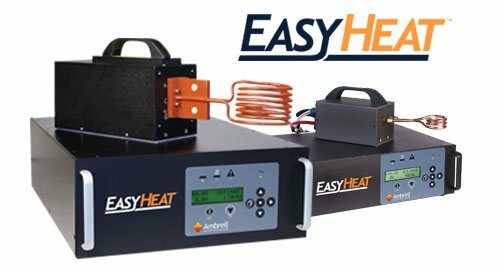 EASYHEAT induction heating systems provide a reliable, compact solution for heating your parts with a quick, clean source of heat. Available in several models, all are ideal for repeatable, non-contact heating of your parts. Introducing our next generation EKOHEAT induction heating equipment, featuring VPA Technology, a first-of-its-kind in the induction heating industry. Our EKOHEAT product family has been redesigned, integrating our exclusive Versatile Performance Architecture (VPA). These have a high-efficiency, low-emission multi-tap transformer, used for impedance matching to the induction coil and workpiece. 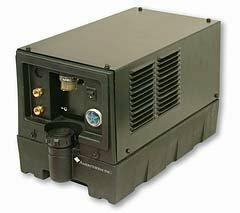 These provide a wide selection, configured for parallel resonance, capable of delivering the rated power to the part being heated. We offer a wide selection of cooling systems, based on the power of your induction heating system and the environment where it will be installed. Ready to take advantage of performance improvements and operational advances of a new Ambrell system? Learn about our trade-in program. 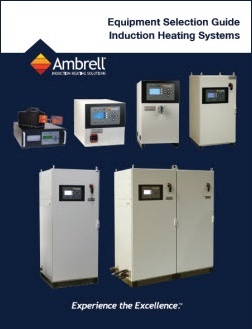 Induction heating products such as eVIEW software and the flexible EASYCOIL can help you get the most out of your Ambrell induction heating system. Our Selection Guide and Product Spectrum offer a helpful overview of our product line.